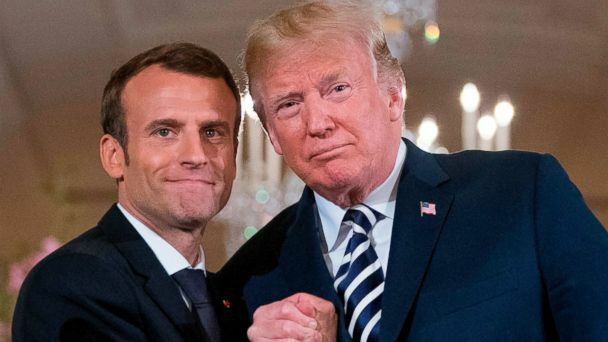 Paris -- President Donald Trump is set to arrive in Paris on Friday to take part in ceremonies commemorating the end of World War I alongside French President Emmanuel Macron. Those disagreements were on display at the UN General Assembly in September, where Trump and Macron's speeches revealed their two very different views of the international order. Trump's unilateralist agenda sharply contrasted with Macron's support for multilateralism and liberal values, De Hoop Scheffer said. "Who knows: maybe one day Macron's method will bear its fruits," the former French foreign minister said.